Dr. Larson utilizes state-of-the-art i-Cat imaging to capture precisely accurate images . Quick Scan speeds scanning time to just 4.8 seconds, producing high volume images quickly with lower dose to you, the patient. These 3-D images provide Dr. Larson with exact tooth position and relationship of anatomy. With this information, he can quickly and easily compile all the available images into a virtual study model complete with crowns, roots, developing teeth, impactions and alveolar bone. These impressionless models enhance accuracy while saving you time. If your treatment needs require the use of an oral surgeon, the 3-D images provide clinically correct information pertaining to root angulations and supernumerary teeth and their exact locations. This information should facilitate extraction and avoid exploratory surgery. 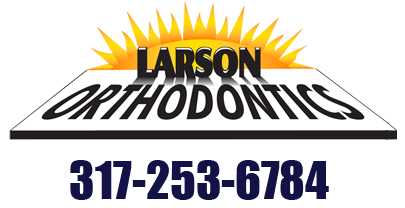 With just one click, Dr. Larson creates a 3D analysis that also yields full traditional 2D analysis.